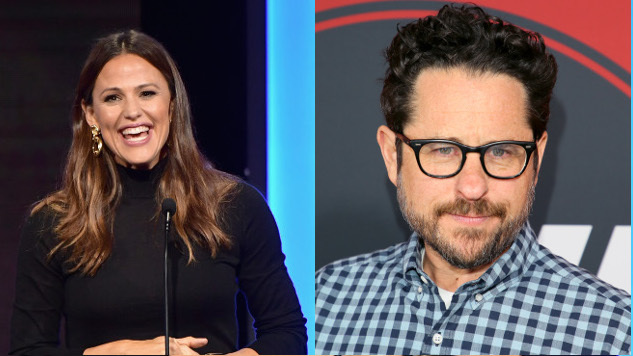 Alias star Jennifer Garner and creator J.J. Abrams will reunite on My Glory Was I Had Such Friends, which has now received a straight-to-series order at Apple, per THR. Based on the 2017 memoir of the same name by Amy Silverstein, My Glory Was I Had Such Friends is a limited drama series that follows the women who supported Silverstein as she waited for a second life-saving heart transplant. Garner will star and executive produce alongside Abrams, executive producing via his Bad Robot Productions banner. Karen Croner, writer of the Garner-starring 2017 film The Tribes of Palos Verdes, will pen the script and executive produce. Also executive producing are Bad Robot TV head Ben Stephenson and original author Silverstein. The series is a production of Bad Robot in association with Warner Bros. Television. This is Abrams’ second series at Apple, where he is also co-executive producing half-hour “musical dramedy” Little Voices with singer Sara Bareilles. Garner also recently starred in HBO’s Camping, which marked her first series regular role since Alias ended in 2006. Episode count and premiere date have not yet been announced for My Glory Was I Had Such Friends. Stay up to date on everything we know about Apple’s TV streaming service and extensive original programming slate here.